Is the nation being gripped again by a passion for orchids like their Victorian counterparts? They are Britain’s favourite indoor plant with millions being sold every year. 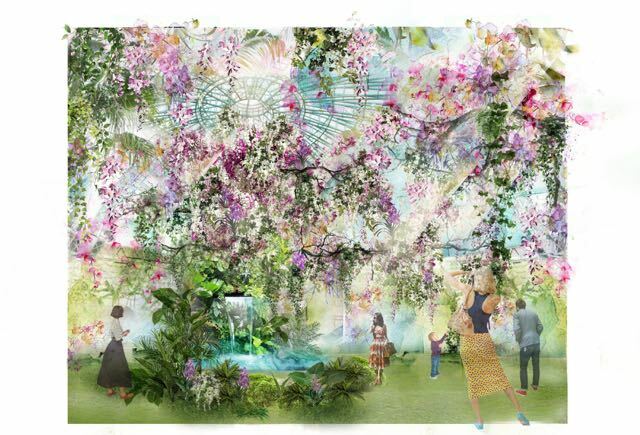 Victorians were obsessed with these beautiful blooms too and in a nod to their so-called ‘orchidelirium’, over 5,000 British-grown moth orchids will take centre stage at RHS Chatsworth Flower Show this summer in the largest display of its kind. Orchids of every description will fill a 21st century version of Chatsworth’s Great Conservatory, originally built by celebrated head gardener Joseph Paxton in the Victorian era, at the show (6-10 June). In this immersive floral extravaganza, large contemporary chandeliers will be suspended over the space dripping with vibrant orchids, mosses and tropical bromeliads. The exotic orchid blooms, in a sumptuous palette of lilacs, purple, pale and cerise pink through to exquisite whites, will also adorn a central waterfall, as well as showcase plinths around the exhibit. 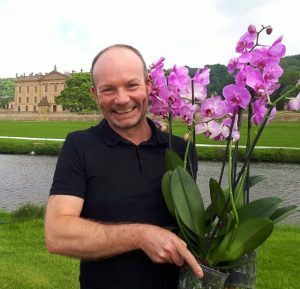 Hampshire orchid grower Double H Nurseries is teaming up with celebrated floral designer Jonathan Moseley for the RHS (Royal Horticultural Society) exhibit and will be supplying over 100 varieties of the popular Phalaenopsis orchid (pronounced Fal-en-op-sis), also known as moth orchid. During Paxton’s stint as head gardener, the Chatsworth Estate boasted one of the most extensive orchid collections in the UK, at a time when the country’s fascination with these beautiful plants reached a peak. The trend then was most definitely one for the wealthy with orchids often changing hands for thousands of pounds. The popularity of orchids has again surged in recent years, thanks to their large, long-lasting flowers, easy care and ability to bloom in any season – and unlike the 19th century they are much more affordable. Double H Nurseries alone supplies over two million orchids a year to major retailers. And orchids’ on-trend status is set to continue with newer scented Phalaenopsis varieties also now becoming available. Twenty florists from across the country will be helping Jonathan build the display including apprentices from the floristry college in Sheffield. During the show he will also be leading floristry workshops and demonstrations for visitors. A Virtual Reality experience, created by 3D expert and VR designer Simon Mabey alongside Manchester Museum and Manchester University, will immerse visitors further in the tropical RHS Chatsworth display as they ‘sit’ suspended amongst the flowers, experiencing the wonder of different orchids through the eyes of an insect. For more information on orchids, plus growing tips and tricks visit www.LoveOrchids.co.uk. Scented moth orchids from Double H Nurseries will be amongst the beautiful flowers featured on Jonathan Moseley’s British Flower Bus which will be stopping at RHS Chatsworth 6 – 10 June; BBC Gardeners World Live 14 – 17 June; RHS Harlow Carr 22-24 June; RHS Hampton Court 2 – 8 July; RHS Tatton 18 -22 July; RHS Hyde Hall 1 – 5 August; RHS Rosemoor 17 – 19 August and RHS Wisley 4-9 September. Notes for editors: Double H Nurseries was established in 1961 and supplies over 4.5 million indoor plants to UK retailers including orchids, roses, poinsettias and chrysanthemums. It supports the Love Orchids website which gives hints and tips on growing these fabulous blooms. « ‘Visionary’ Edwardian plantswoman inspires modern-day plant hunters for RHS Chelsea	» The sweet scent – yes scent – of orchids!